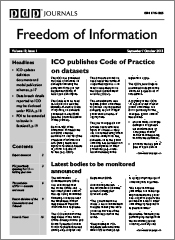 FOI Man looks at the Freedom of Information exemption covering information provided in confidence. Before FOI came along it was pretty common for those working in public authorities to claim that almost anything was “confidential”. And to be fair to public authorities, many private companies tend to think the same way. 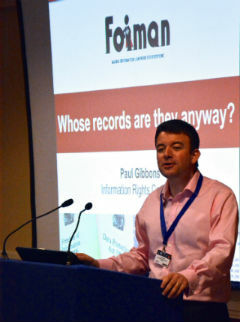 Public bodies receive information from other organisations or individuals all the time. They might be carrying out a consultation. They may be tendering for a service. Perhaps they are researching a particular issue. 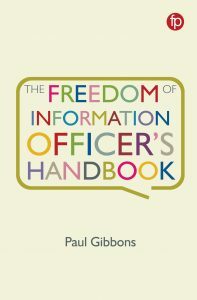 Whatever the reason, organisations will share information with public bodies and won’t necessarily expect – or want – that information to be shared further. And indeed, if they thought that information would be shared, they might not hand it over in the first place. Section 41 provides a level of assurance to third parties that where information they provide is confidential, it won’t be released by public bodies. On the other hand, those using the Act to obtain information are often suspicious of section 41. They fear that companies and public authorities will collude and describe any information as confidential, justified or not. The Information Commissioner and Tribunals have struck a balance in their decisions between protecting information that really is confidential and ensuring that public bodies don’t misuse this provision. Information provided to public bodies by third parties (including other public authorities) that is confidential in nature. A crucial point – this exemption can only be used where the information has been provided by a third party. In Derry City Council v Information Commissioner (EA/2006/0014), the Tribunal took the view that contracts (and information shared as part of contract negotiations) between third parties and public authorities were not covered by the exemption because the information is effectively the result of collaboration between the two parties – so it can’t be said to have been provided by the third party. Presuming the FOI Officer is satisfied that the information has been provided by a third party, the next thing is to consider whether the information actually is confidential. will unauthorised disclosure be to the detriment of the person who provided the information? What’s “the necessary quality of confidence”? It is best to consider this by reference to what won’t have this quality. Information in the public domain, or that can be easily worked out, or that is trivial, won’t have this quality. What imports an obligation of confidence? It could be that the information was shared under a written agreement stating that the information cannot be further disclosed. Or there may be an implicit assumption – the Information Commissioner gives the example of a patient who shares information with their GP. They don’t need to tell the GP that the information is confidential – it is understood. Whether disclosure causes detriment is considered less important, but clearly if there is evidence that the third party would be harmed, that is an important argument to make. Even if you can argue that the information is confidential, there are circumstances in which it can be disclosed. where there is an overriding public interest in disclosure. This exemption is an absolute exemption – this consideration of the public interest is very different to the normal public interest test. In this case, there will have to be a very strong public interest to justify breaking confidentiality. Finally, the exemption will only apply if the breach of confidence would be actionable. In other words, it isn’t going to apply unless there is a realistic risk of the public authority being sued by the third party or some other person/organisation. If you have asked for a copy of a contract between a public authority and a third party, and it is refused under section 41, try challenging it. In most circumstances, contracts will be seen as a collaborative effort between parties and the exemption won’t therefore apply. If you know that there are issues of misconduct or impropriety involved, especially involving public funds, it is worth arguing that disclosure is in the public interest. But be aware that this will be a harder case to make than with the public interest test applied to other exemptions. Question what evidence the authority has to support the view that the information is confidential – do they have anything (a letter, say, from the third party) saying that they have to keep it confidential? Not having this isn’t terminal for the public authority’s argument, but may undermine it in certain circumstances. Is the third party or anyone else in a position to sue the public authority if they disclose the information? And how likely is it that they would? For example, government departments can’t sue other government departments (and even if they could, would be unlikely to). Hi Phil – that Jones case is the one my blog post was about, and I criticise it. I understand both the ICO and the public authority were given permission to appeal to the Upper Tribunal (must be caught in the backlog there).